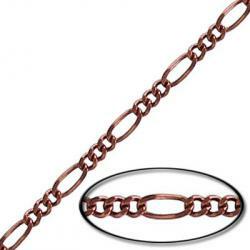 Soldered chain figaro link (2.5 mm wide), 20 metres, antique copper plate, brass core. 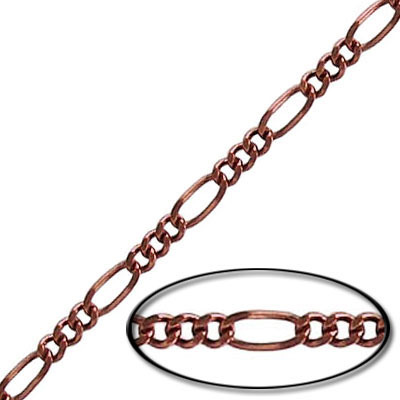 Frabels Inc.
Soldered chain figaro link (2.5 mm wide), 20 metres, antique copper plate, brass core. (SKU# CC/160SSF/OXCO). Sold per pack of 1 spool(s).